Discuss your favourite comic books and manga. In this thread only or in separate threads? 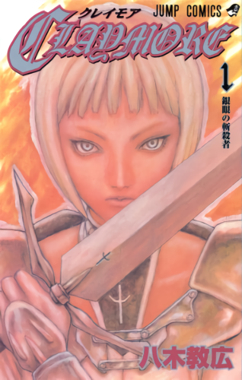 I really liked reading Claymore. Basically about half human/half demonic women who slay demons pretty much. Last mangas I've been reading were Attack on Titan and Kuroshitsuji aka Black Butler (I haven't seen either anime). I read The Dark Knight III: The Master Race and I'm undecided about it. It's good superhero storytelling - I'd even call it an average Miller work, which is pretty high praise - but DK3 is an ordinary superhero comic, it lacks the very fury and social commentary that set DKR apart. I don't hate Dark Knight Strikes Again, it was in a way a valiant effort. It's a shame it wasn't done couple years later, Miller would've had much more ammo; now DKSA was mostly same as DK3 plus a middle finger to (social) media. Which is the main fault of DK3: it has even less than that. Just couple obvious Trump jokes. It's not even trying. DK3 just settles on being a good story, a fine bit of entertainment and has no further ambitions. That's OK for any comic, but not what one would expect from Miller and especially from finale(?) of a series started by his perhaps most remarkable masterpiece, which itself was the total opposite.